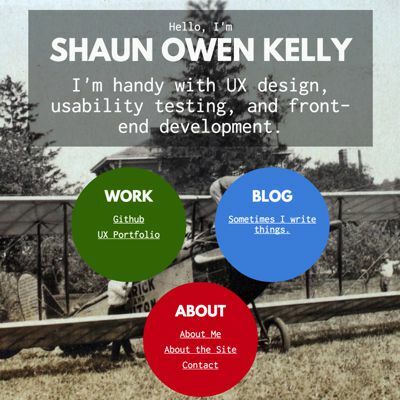 Shaun Kelly | Atlanta, GA. Front-end web development. UX design. I'm a front-end web developer with a background in human-computer interaction. 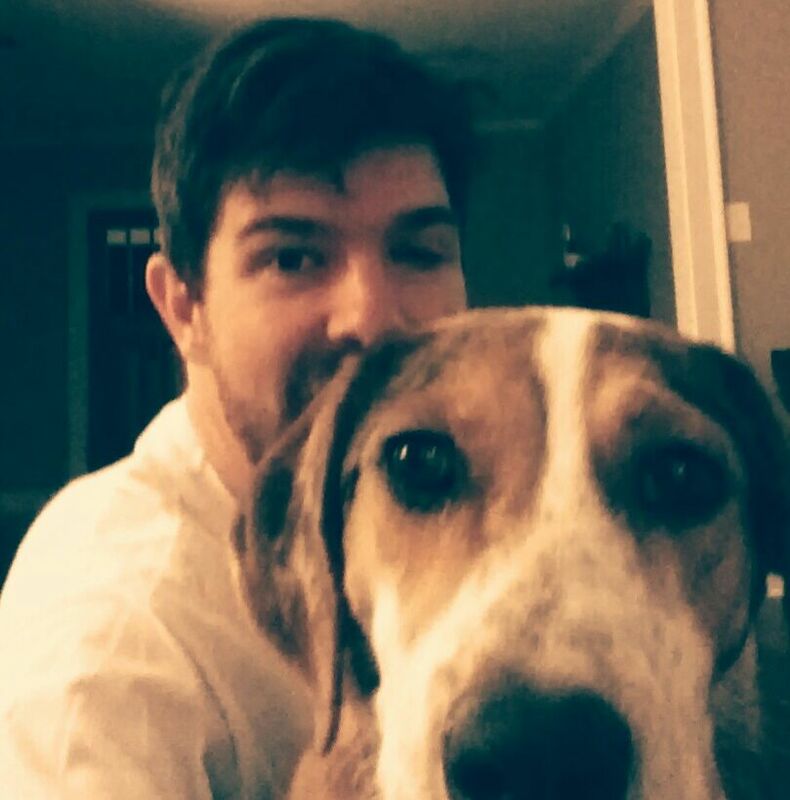 Hi, I'm Shaun, a front-end web developer from Atlanta, GA. I have an M.S. in Human Computer Interaction from Iowa State University and a B.A. in Psychology and English from Kenyon College. I wrote my first lines of code in BASIC on TRS-80 in fourth grade and my first website launched on Geocities in 1997. I love sports (Braves, Falcons, Predators), hanging out with my pup, and craft libations. I'm a dad to Ada. I'm level 25 in Spanish and dabble in Norwegian and Irish on Duolingo. The fonts are League Spartan by the super awesome League of Movable Type and Inconsolata by Ralph Levien. The photo here and on my github site is from the collection of 1920's stunt pilot Carter Buton. His collection is part of the Commons on flickr. Coded lovingly in HTML5, CSS3, and Vanilla JS on a Mac using Atom. Powered by Jekyll.